If you’re a fan of the Resident Evil (RE) game franchise and have also watched all the movies based on the game, Sony Pictures is bringing an integrated game-movie experience for you. 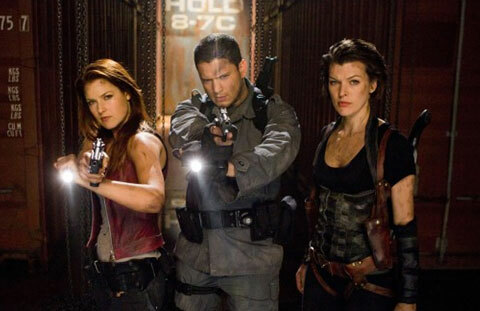 All RE fans know that to date 3 movies have been released based on the hugely popular game and Sony Pictures is currently promoting the up coming 4th RE movie called Resident Evil: Afterlife. Now you can download (for free) and play the new version of the game designed especially to promote the movie, on your iPhone, iPad and iPod Touch from the US iTunes store. The new game follows the story of the 3D movie directed by Paul W. S. Anderson, British director who also directed the first RE film. Milla Jovovich returns as the hugely popular Alice along with Ali Larter as Claire Redfield and Sienna Guillory as Jill Valentine. However, what’s capturing fans’ attention worldwide is the appearance of Chris Redfield for the first time in an RE movie. Chris Redfield (Claire Redfield’s brother) is a character much loved by RE game fanatics but somehow the character was not included in the movies until now. Chris Redfield is being played by Wentworth Miller, the famous Television star from world famous American TV series ‘Prison Break’. Also making an appearance is the famous villain Wesker played by Shawn Roberts. The film is all set to release worldwide on September 10, 2010. You can download the game here.